According to an IDG News Service report, via ComputerWorld, shipments for Apple’s revolutionary tablet device have risen significantly during the third quarter. This followed after the Cupertino-based tech company settled a rights dispute over the iPad trademark that could have potentially lead to the device getting banned from Chinese store shelves. “Shipments of the tablet in the third quarter reached 2.07 million units, up from 1.15 million in the previous quarter, according to Dickie Chang, an analyst with research firm IDC. He attributed the shipment growth to Apple finally gaining ownership of the iPad trademark in China, which cleared the way for sales of the new product. Apple ended up having to pay a cool $60 million to obtain the trademark from Proview. That amount’s actually quite a bargain considering Proview wanted Apple to originally pay $400 million in order to sell iPads legally in China. 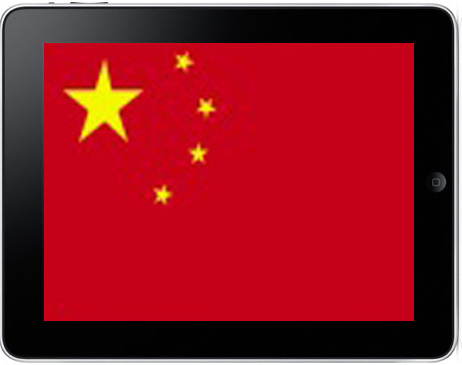 Analysts conclude that the almost instantaneous growth in sales “further cements Apple’s dominance of China’s tablet market.” Apple’s iPads have a significant margin against its closest rivals Lenovo, which sold 278,000 tablets in the third quarter, and Samsung, which managed to move 143,000 devices in the same time period. This may grow even further in the fourth quarter with the release of the highly-anticipated iPad mini and 4th-gen iPad.